Sempu Island, located off the shore of South Malang, East Java, was established as a Nature Reserve in 1928 through Governor's Decree no.46 Stbl.1928 No. 69 of 1928. Covering a 877-hectares land area, the island spans 3,9 kilometres from West to East and 3,6 kilometres from North to South. It is bordered by the Indian Ocean in the Southern and Eastern coasts, while the Sempu Strait separates the island from Java mainland (with Sendangbiru beach being the closest point) at its Western and Northern side. The government set the Nature Reserve status due to its rich and unique natural features and biodiversity, which is priceless for research and science. Administratively, Sempu Island Nature Reserve is situated at Tambak Rejo village, Sumbermanjing Wetan, Malang regency, East Java. While geographically it lies at 112deg40'45" E and 8deg24'54" S.
PROFAUNA's intensive monitoring finds that Sempu Island is inhabited by more than 80 bird species including the rare and protected ones like the Javan Hawk-eagle (Nisaetus bartelsi), Black Eagle (Ictinaetus malayanesis), White-bellied Sea Eagle (Haliaeetus leucogaster), and Rhinoceros Hornbill (Buceros rhinoceros). 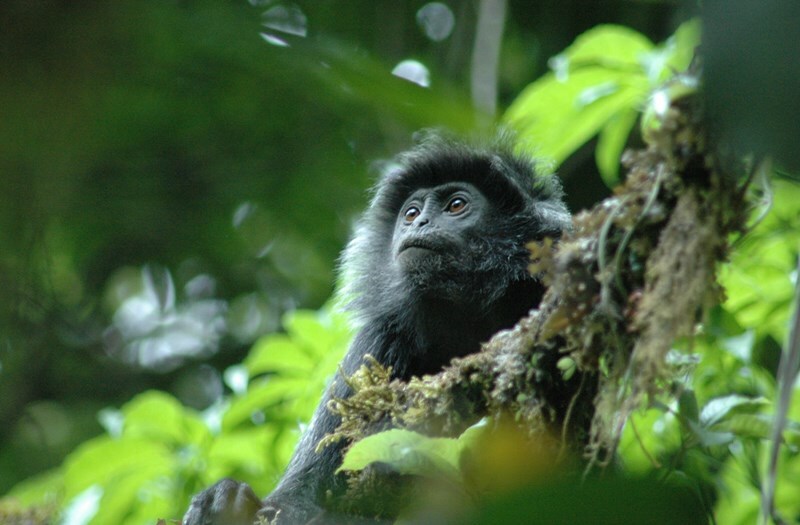 Not only birds, Sempu is also home for protected mammals including the Javan Langur (Trachypithecus auratus), Black Giant Squirrel (Ratufa Bicolor), Slow Loris (Nyticebus sp), Java Mouse-deer (Tragulus javanicus), Barking Deer (Muntiacus muntjak), and Binturong (Arctictis binturong). 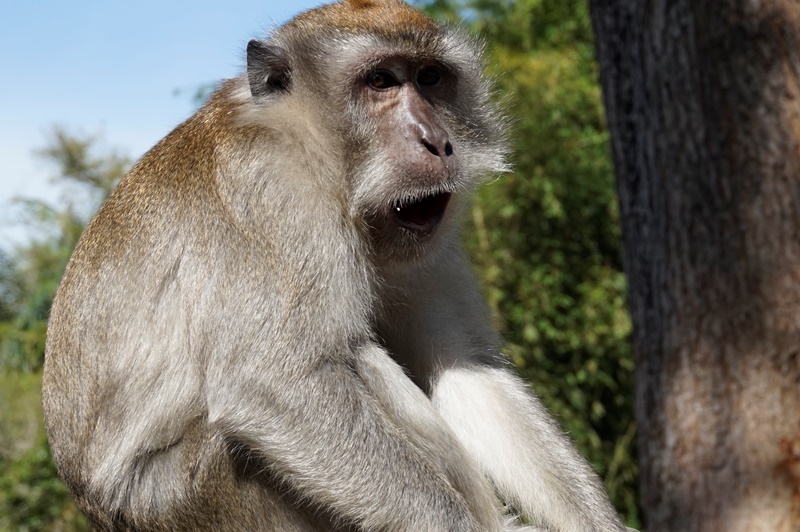 We can also find other mammal species around the island like the Long-tailed Macaque (Macaca fascicularis), Kalong/Large Flying Fox (Pteropus vampirus), Wild Pig (Sus sp), and Asian Palm Civet (Paradoxurus hermaphroditus). At least two sea turtle species are documented in this island: Hawksbill Turtle (Eretmochelys imbricata) and Green Turtle (Chelonia mydas). In addition to being highly rich in wild animal diversity, Sempu Island also holds as many as 314 wild plant species (East Java Nature Conservation Agency; 2009). Based on a study of Sempu's wild plant diversity by Rony Irawanto et al. (2017), there are 228 recorded plant species in Sempu Island and another 54 has only been identified at genus level. 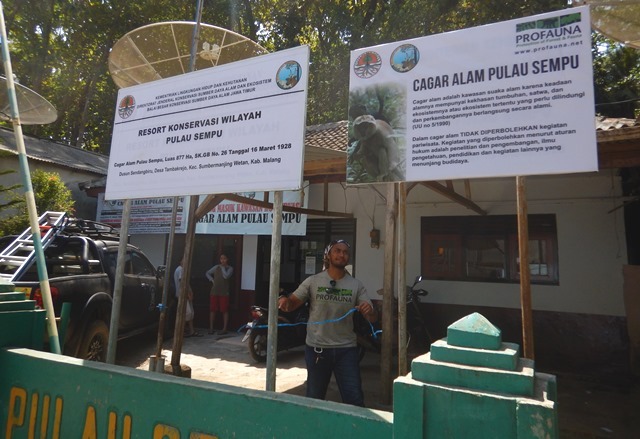 The list of wild plant species was collected from 10 points: Telaga Lele, Telaga Sat, Telaga Dowo, Gladakan, Barubaru, Gua Macan, Teluk Ra'as, Teluk Semut, Air Tawar, and Waru-waru. 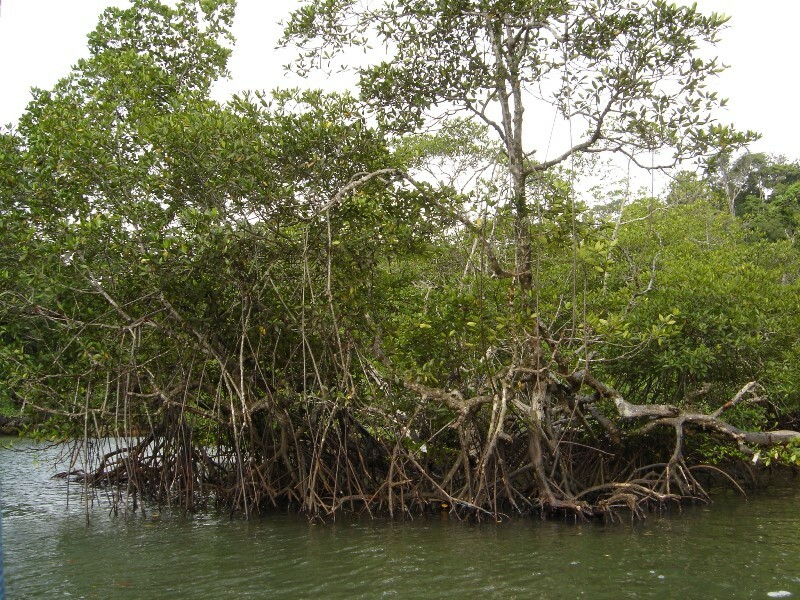 Those points represent different vegetation that is mangroves, coastal forest, lowland tropical forest, and grassland. Sempu Island is wide-ranging landscape consisting of mangroves, coastal forest, lowland tropical forest, marine ecosystem, and freshwater ecosystem. These features make the island a perfect miniature to study natural sciences. In accordance to Law no.5 of 1990 concerning the Conservation of Living Natural Resource and Its Ecosystem, Nature Reserves can only be used for research, science, and education purposes. 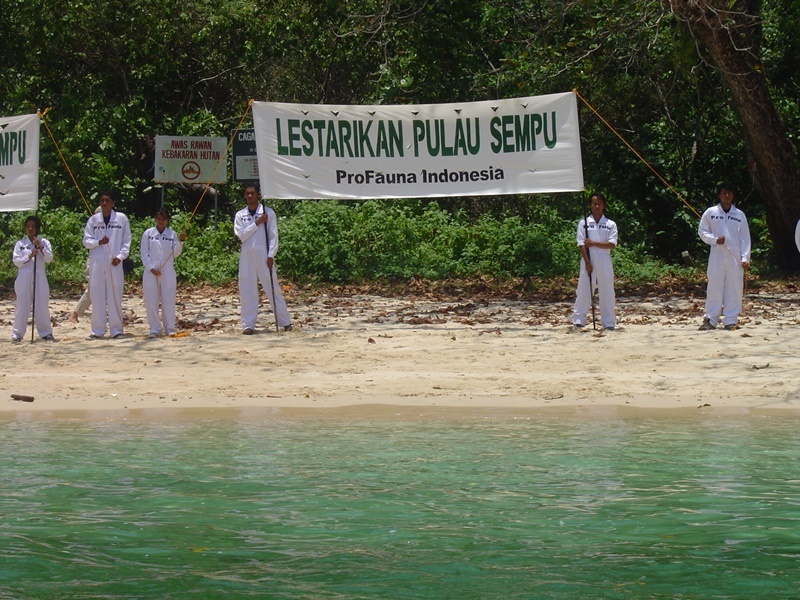 Therefore, it is clear that Sempu Island should be forbidden for tourists. Regardless, there had been several occasions where proposals arose, suggesting that Sempu Island be assigned a lower status as a Nature Tourist Object. PROFAUNA believes that economic drive should not always come first, sacrificing one among few of Indonesia's remaining nature reserves. On the contrary, the government should have enforced better protection for Sempu Island to ensure its safety against threats. "The southern coastline of Malang has a number of beautiful beaches that can be developed into tourist destinations. It is a far better option than disturbing Sempu Island's susceptible environment," said Rosek Nursahid, founder of PROFAUNA Indonesia. 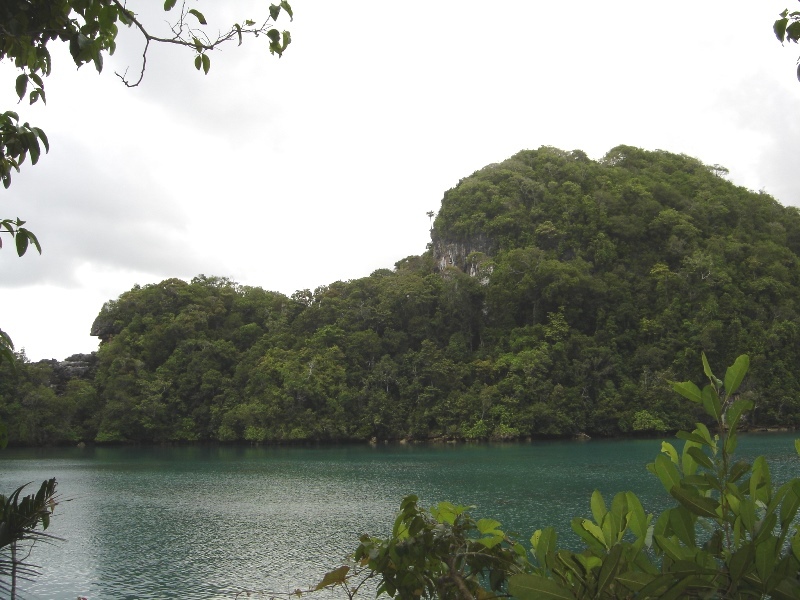 What can You do to Help Preserving Sempu Island's Biodiversity? If you are working in tourism business, you can start by not promoting Sempu Island as a tourist destination. Not only due to its legal status as a nature reserve, but also because Sempu Island's ecosystem is highly sensitive to disturbance coming from mass tourism. This includes plastic waste brought by visitors, which has caused a major problem for wild animals. There are a number of beautiful beaches not far from Sempu Island that you can visit instead of thenature reserve itself. Refuse any offer to visit Sempu Island, tell others not to set foot on the area forbidden for tourists. PROFAUNA will be recruiting volunteers to assist conservation programs at Sempu Island Nature Reserve. This is your chance to take active part in preserving the nature! Check out out social media outlets for further information about the volunteer program.